Barcelona is a city best known for its beautiful beaches, endless summer fiestas and desirable climate, but what many don’t know is that the Catalan capital is also a popular winter holiday destination, too! 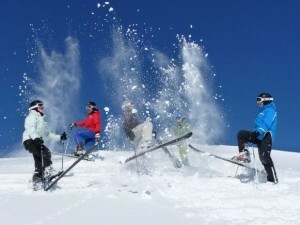 Barcelona is situated in close proximity to plenty of top Pyrenees ski resorts, offering visitors the chance to make the most of the snow season with activities ranging from cross-country skiing to igloo-building! What’s more, with many ski apartments in the Pyrenees available to rent for short winter breaks, you can stay next to the slopes and get the most out of the mountains every day of your stay! 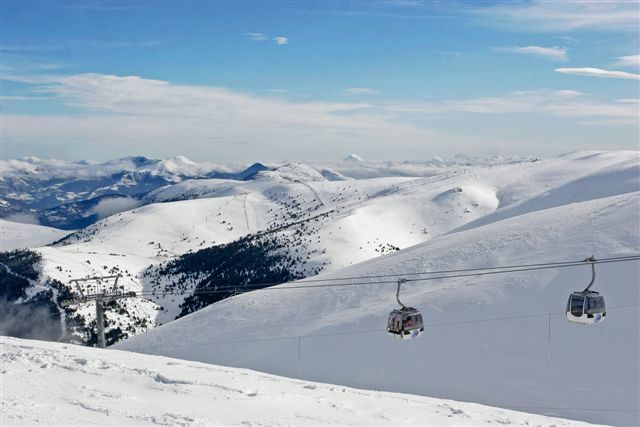 One of our favorite ski resorts is La Molina, located just 2 hours from Barcelona in the Catalan Pyrenees. This outdoor haven can be found near the French border and offers something for every type of skier, from beginner to advanced. With a multitude of ski runs, plus activities such as sledding and mushing (Huskie rides), those looking for an adventure on the slopes this winter won’t be disappointed. Make your way to this winter wonderland by hopping aboard a Renfe train or using the Sagales Bus Company. Check out La Molina’s official website for more information. You can catch the SkiBus from Barcelona to the resorts of La Molina and Masella. The SkiBus departs Barcelona at 6.30am and later departs your preferred ski resort at 4pm. A one day pass to either resort costs around 38.00€ which includes a return coach trip, ski pass, skiing insurance and a travel guide on board the coach. This outdoor winter playground, situated in the small country of Andorra, is a must for snow sports lovers. The Grandvalira Andorra resort is located just a few hours from Barcelona, and is the largest resort in Southern Europe. It has more than 210km of terrain and over 110 runs, ensuring that everyone, from those just getting started on skis to pro snowboarders, can make the most of the mountains! What’s more, Grandvalira connects six individual resorts in Andorra: Pas de la Casa, Grau Roig, Soldeu, El Tarter, Canillo and Encamp, meaning that you can spend days to weeks exploring the slopes. 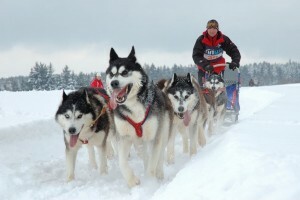 Plus, there are other activities to enjoy here too, such as igloo-building and snow biking. Two major coach lines run from the El-Prat Airport in Barcelona to Grandvalira and get you to the slopes in 3 hours. For further information on how get there and the activities on offer, visit the official Grandvalira website. This is one of Spain’s most popular ski resorts. It is situated in Lleida, around 4 hours from Barcelona, and is actually the largest winter resort in the Catalan Pyrenees. It is divided into 3 zones: Baqueira, Beret and Bonaigua, and boasts over 70 slopes, making it a hit with advanced skiers, including the likes of the Spanish Royal Family. If you’re an intermediate skier, we recommend the Blue Safari. This route takes you to all corners of the Baqueira resort with a few hot drink stops along the way. For more information visit the Baqueira website. For those who have yet to master the art of skiing or snowboarding, or those simply looking to try their hand (or foot) at exhilarating winter sports, Vall de Nuria is the perfect resort to visit! This is one of the smaller ski locations in the Pyrenees, located just 1.5 hours outside of Barcelona, and beginners will feel right at home here. Vall de Nuria can be accessed by Renfe train or the “Tren Blanc”. Visit Vall de Nuria’s website for more information on what you can find at this top ski resort near Barcelona. Soon you’ll be able to switch from sand to snow in a matter of minutes with Barcelona’s artificial indoor ski slope! Snow World is currently in the planning process but is set to feature a 300 metre ski slope as well as 2 ice-skating rinks, many restaurants, a fitness centre, a winter sports shop and more. Take a look at their website for regular updates. This entry was posted in Activities, Home, Places and tagged barcelona activities, Barcelona activities for children, barcelona day trips, pyrenees ski resorts, ski resorts barcelona, skiing and snowboarding around barcelona, skiing near barcelona, travelling around barcelona, visiting barcelona. Bookmark the permalink.